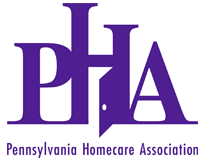 Join PHA and Kornetti & Krafft Health Care Solutions for an interactive, one-day conference focused on the shift from a volume- to value-based care for therapists in the home health industry. This course will provide training and resources related to therapy in a patient-driven acuity model of reimbursement with special attention paid to specific chronic disease populations commonly encountered in this setting. Focus will be to highlight the Patient-Driven Groupings Model (PDGM) with evidence-based practice recommendations to support the role of restorative and maintenance therapy in risk and outcome management for the home health patient into the future in all categories of care. Course attendees will receive current regulatory guidance and evidence-based content to support clinical care for patients in each of the designated PDGM categories. Inclusion of current OASIS data set information will be discussed, as well as tools and resources supporting clinical care coordination, decision-making, and defensible documentation. Discussion and overview of (proposed) payment modeling in future PDGM iterations will be presented, with inclusion of expert analysis related to financial impact specific to therapy utilization in the home health setting. 6.5 nursing CEs and 6.5 therapy CEs will be available.